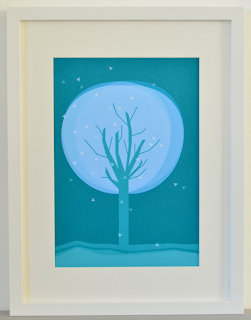 As a way to lightly dip my toe into the whole gift guide thing, without being overtly obnoxiously holiday focused, I thought I would do another Etsy 'Shop Local' post. Glasgow has a rich and varied craft scene, as well as a vibrant art scene. It's basically bursting with creativity and talent, so these Etsy posts are very easy to pull together. And if I help you get a bit of early Christmas shopping done, all the better. 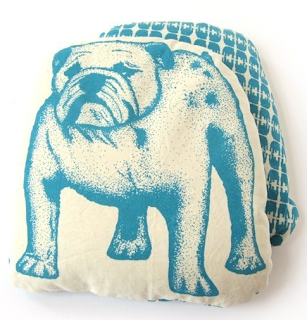 Emma Henderson's Etsy shop features textile designs that will brighten your home, including tote bags, tea towels, cushions, coasters and these adorable warmers. Perfect for the inevitable months of cold weather to come, these warmers can be popped in the microwave and will stay warm for up to two hours. Filled with wheat and lavender. The vintage craze has taken hold of the city, and thee are some great shops dealing in treasures from the past, including BelmontandBellamy. They specialise in Victorian and Edwardian jewellery, Scottish jewellery, and 70s silver and gold. 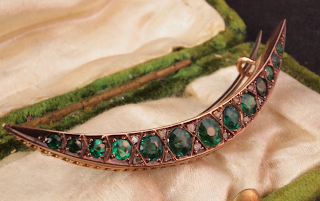 This crescent shaped tsavorite pin is to die. 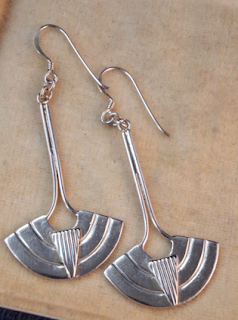 And these earrings make me want to wear something art deco inspired for New Years. Everything in this shop makes me smile. 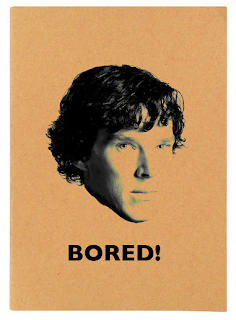 A notebook with Walter White labeled 'Recipes', a Sheldon Cooper notebook labelled 'Theories' - and this one, which everyone should have in celebration of the new series of Sherlock that's coming soon. 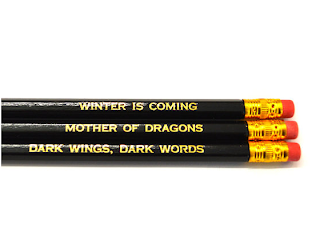 There are also pencils with phrases from various television shows including Community, Game of Thrones, 30 Rock, and Breaking Bad. 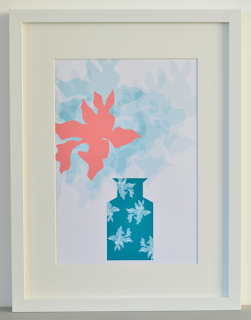 Ingrid Petrie makes lovely prints that caught my eye because I'm looking for some artwork for my daughter's nursery. Aside from the pretty images and the soft colour palette, I like the fact that you can choose between A4 or A3 sizes for your print. Carolyn Alexander is a talented illustrator with a brilliant sense of humour who sells prints, tote bags and books on her Etsy shop. 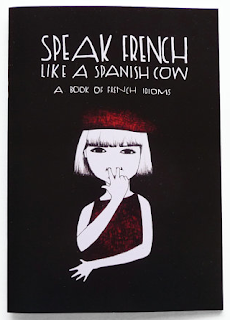 One example of her work is this little book, Speak French Like a Spanish Cow, a book of illustrated French idioms. This book will give you a laugh and help impress your friends! Thank you so much Emily for including BelmontandBellamy in your blog. I agree, Etsy is a great place to shop and there are so many great sellers on Etsy who offer great customer service. I always bought modern jewellery but since I got into the antique and vintage jewellery market I have really come to appreciate this type of jewellery and the detailed craftmanship that goes into antique jewellery that you just don't see these days makes it special and still affordable. I wear antique and vintage jewellery now as well as modern; just depends on the outfit. Not long before Christmas now and so many gifts to buy. Happy Shopping everyone! I was so excited to find out you'd mentioned me on your blog, thank you! So glad you like the pictures. I hope others reading this will come and have a look too. As well as the softer colours and nursery/ child appropriate prints there are also some bolder, graphic monochrome prints that make a statement so there is something for everyone- and I also do custom orders.